Start your day with visual information about your website rankings. 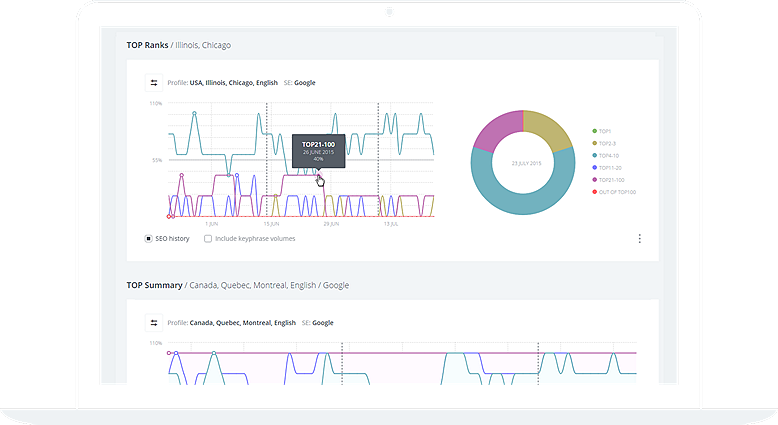 Set the desired search engine, language, location, and collect the most accurate data. 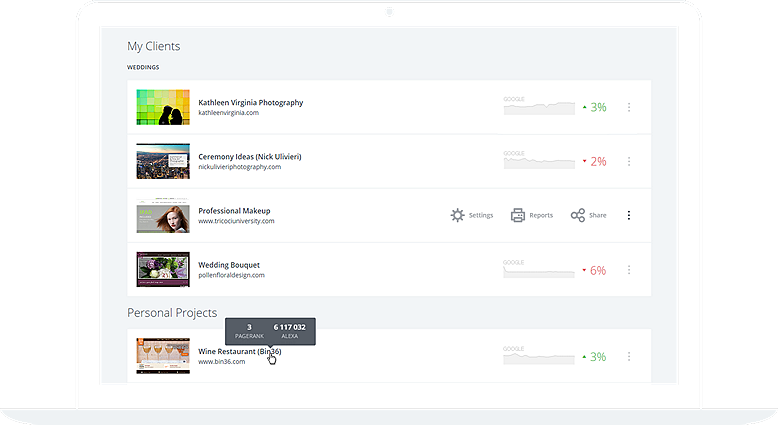 Track your marketing results with the help of our versatile tools. Reliability is guaranteed 24/7, ranks are checked in the first several hours. Our virtual users act just like real humans, and the accuracy runs up to a 100%. We provide screenshots upon request. 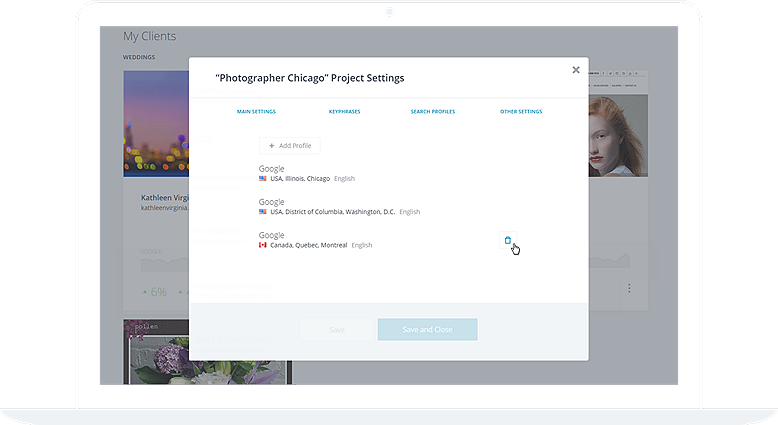 Group your projects, add starting points. 10 000 keyphrases can be viewed just as easily as 10 or 100.
thus allowing the easy tracking of any of your competitors. will bring you 15% of the money he or she has spent. the access rights the way you want.